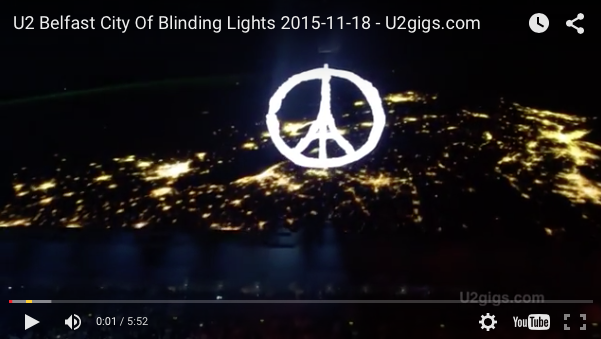 NOV 21, 2015 – The world and U2 honored the victims of the Paris attacks at 9:20 PM last night, the time the tragedy struck. 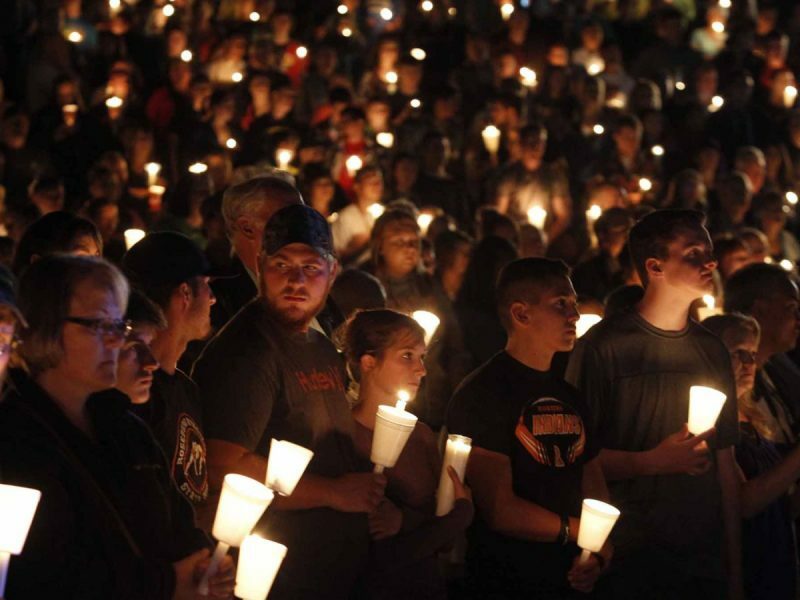 Bono and the boys are back home in Belfast, and they honored the victims by having a large backdrop with the Eiffel Tower and the words “Stronger Than Fear”, while they played a roaring rendition of “City of Blinding Lights”. Watch the amazing tribute and performance below from U2Gigs YouTube Channel below.